Marc Lipp, born 1962 in North Babylon, New York was always drawn to art from a young age. He started experimenting with drawing and painting and learned how to do airbrushing to make extra money as a teenager. He furthered his art education when he attended college at the prestigious Pratt Institute of Art & Design in Brooklyn, NY. Learning all forms of art during his studies, he was still drawn to his roots as an airbrush artist. He started working at street events and then moved up to the Jersey Shore and Wildwood, NJ. He learned how to do custom artwork and graphics on Bikes, Choppers, Autos, and then moved into large scale Murals. 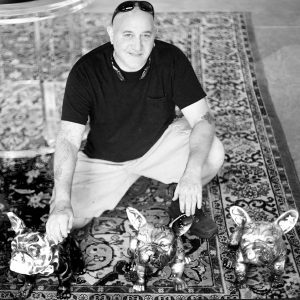 In 2004, Marc decided to trade in the bright lights of New York for the sunny life of South Florida to pursue his dream of becoming an artist. 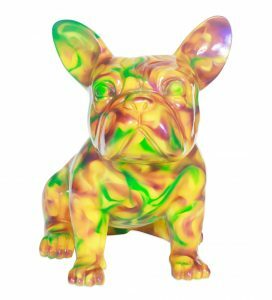 Combining his love of art and creative skills, he has created a series of Painted and lacquered Bronze Dog Sculptures. 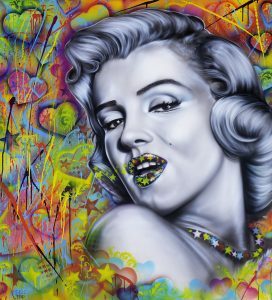 His newest venture is creating mixed media graffiti paintings on canvas and metal. 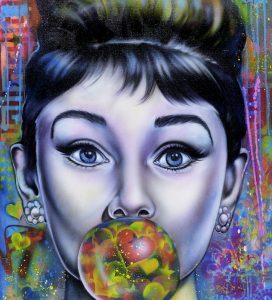 This fun combination of classic art skills mixed with the street art of today is a unique blend of modern POP!